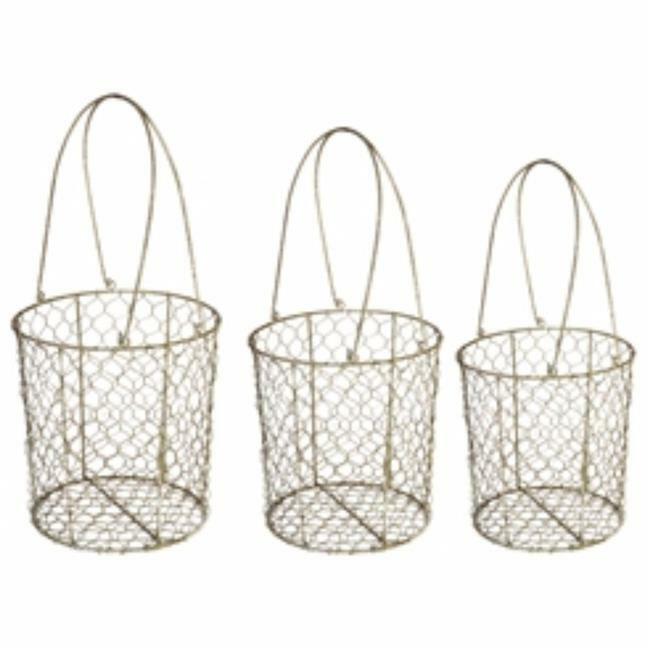 A stylish way to keep your home organized and tidy is with this set of three metal wire mesh storage baskets. Unlike traditional baskets, these metal wire baskets with double swing handles is fun and functional. These baskets feature a honeycomb wire mesh and will look ideal in the bedroom, bathroom or home office. These sturdy metal baskets offer great visibility and can stylishly house everything from fashion accessories, hand towels, arts and crafts supplies, magazines or toys. These three baskets will nest together or you can stack them.